If you are a fan of Spoke Art then you know that they have a fantastic collaborative series going on with the historic Castro Theatre in San Francisco. 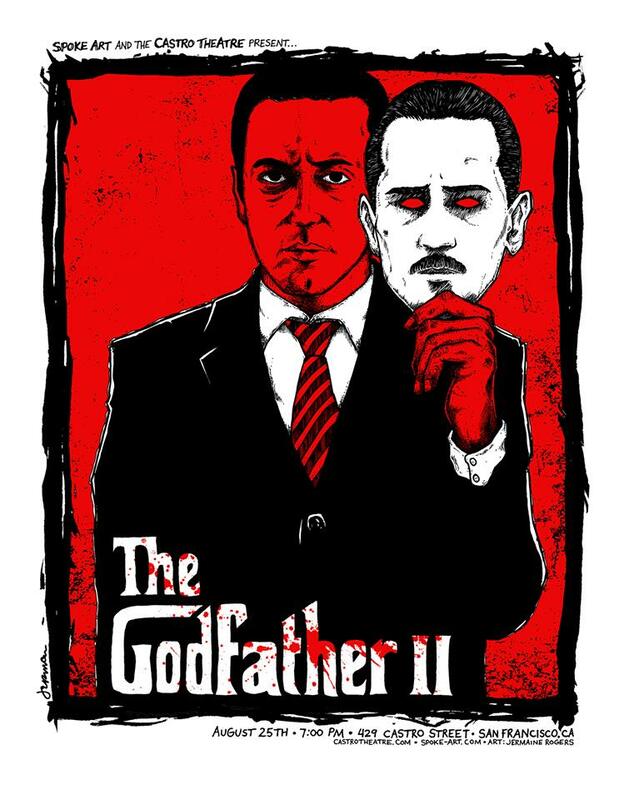 Later today, 8/26/13 at 3pm PST, they will be releasing two incredible prints for everyone’ favorite mafia movie, Francis Ford Coppola’s, “The Godfather II”, which they debuted there last evening to a sell out crowd. This time out they have commissioned legendary screen print and gig poster artist Jermaine Rogers to create a commemorative poster for the event. As if that weren’t enought, they are also bringing back designer Brandon Schaefer, who’s last poster with Spoke Art (The Shining) is now officially sold out. The print will be available in Spoke Art’s Castro Theatre section of their store HERE. Check out and pick up some other fantastic prints from their Castro series from artists like Joshua Budich, Sam Smith, Max Dalton, Chuck Sperry and Poster Posse members David Moscati and Tracie Ching. Stay tuned because the next film they are collaborating on hits this Wednesday, 8/28/13 and is Stanley Kubrick’s masterpiece, Doctor Strangelove! 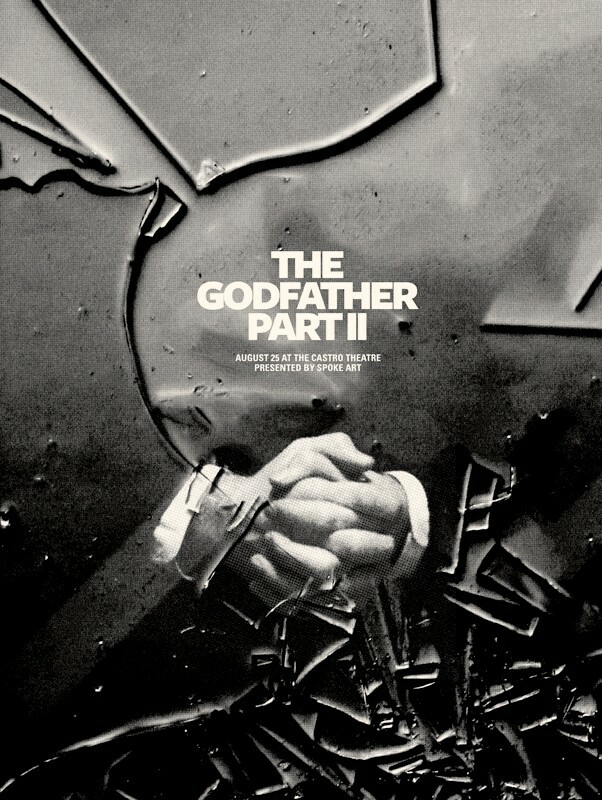 This entry was posted in Art, Movies, Poster Posse, Posters and tagged Brandon Schaefer, Castro Theater, David Moscati, Jermaine Rogers, onsale info, Spoke Art, The Godfather II, Tracie Ching. Bookmark the permalink.